According to a new ranking released by the National Council for Home Safety and Security, Rogers State University in Claremore has the safest campus in Oklahoma. 18 Oklahoma universities made their way on the list of 490 college campuses across the nation. Three of those Oklahoma colleges ranked among the top 40 safest college campuses. 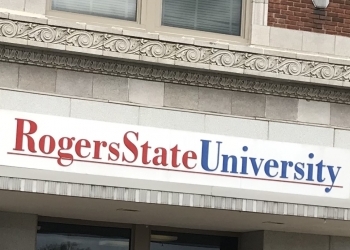 Rogers State University in Claremore, being ranked the safest Oklahoma campus, found itself ranked 13th on the long list of safe American colleges. The National Council for Home Safety and Security based their 2019 Safest Colleges in America list using data from law enforcement and FBI crime reports. Colleges that failed to submit their crime reports with the FBI were excluded from the survey. Colleges with enrollment under 1,000 were also excluded. Crime rate and police adequacy were variables that were also considered in the survey. When looking at violent crime rates, the National Council for Home Safety and Security made a distinction between violent and non-violent (property) crime. Consider installing a security camera in your dorm. If you share space get consent from all of your roomates. For a look at the full suvey, click here.